With Time Tracking practice enabled, Targetprocess users post actually spent time against various entities. Detailed time reports are used to build lists of submitted records, group them per work items, work scopes, users, roles, and date ranges, and calculate totals per each group. It is possible to calculate total budget spent on your projects using time tracking data and custom personal hourly rates. The report described below is a Detailed Time Report with custom calculations applied. The report uses Times entities as data source. Spent hours values are multiplied by personal hourly rates, then totals are calculated. Personal hourly rates are set per individual user. In the basic use case rates for a user are same for all the projects he or she is a member of. Custom calculations are performed in Visual Reports. Results are displayed in reports only. Calculations can be configured and modified by any Targetprocess user (report owner). The reports can be exported for external audit and further processing by third-party software in the form of tabular and graphical files. To get calculated totals displayed in detailed views, enable filtering and grouping in Targetprocess views and legacy tabular reports, add custom calculations for work items and high-level planning entities. The custom calculations are done by Custom Formula Metrics. They can be configured and modified by Administrators only. In this use case, all time spent entries are billable by default. If it is required to allow your users to submit both billable and non-billable time entities and filter out non-billable ones in invoicing reports, you may introduce additional solution: Tracking Billable and Non-Billable Time Records. 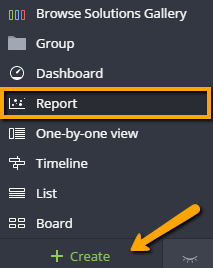 Create the report as a blank Entity Report based on Times data source. Use ‘Cost’ for the Y-axis and then Sum this field. In order to setup date filters and grouping, or to see the total amount for each user or work item in a given project, it is possible to configure filtering and grouping. Put one of the supported Data Fields to X and/or Color axes to get Time records grouped per corresponding field. Total Costs are calculated per each group. All the custom formulas below are valid for reports based on Times data source. The rates are calculated with Time Role Rate custom formula.